I LOVE the Mexican rice you get at restaurants alongside your tacos or burritos. So much so I learned how to make it at home. 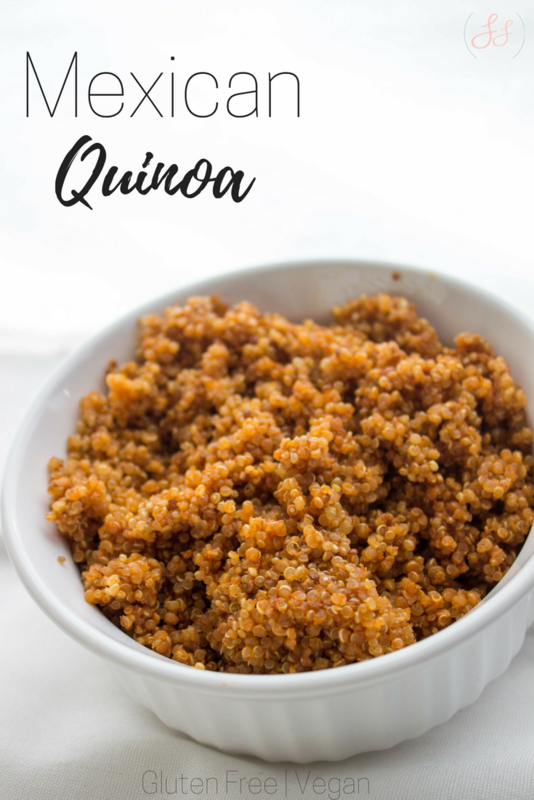 The other day I wanted something different to have alongside our tacos so I took my Mexican rice recipe and switched it up with some protein-packed quinoa. It took a little recipe finagling but I figured it out! 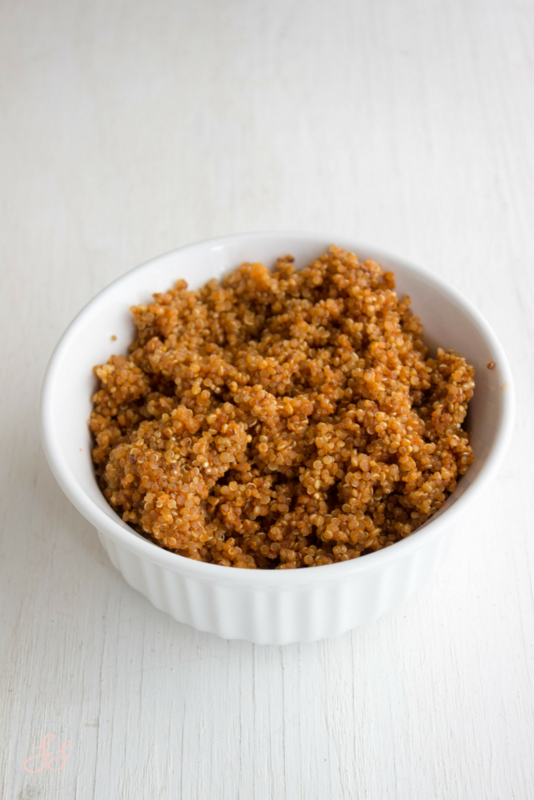 The key to a good Mexican rice or Mexican quinoa is toasting the rice/quinoa in the pan with spices. Don't toast it too much but just enough that it has a nice brown color to it. In a decent sized deep pot. Heat olive oil.Add quinoa and cook until slightly brown. Stirring every so often so not to burn the rice to the pan.Next, add garlic, salt, and cumin and cook until fragrant (about 2-3minutes).Then add the tomato sauce and chicken broth (or veggie brother). Bring to a boil.Stir and cover and cook until the liquid is absorbed. Check on it and stir from time to time. If the quinoa doesn't look liked it's absorbing after 15minutes or so. Add more. 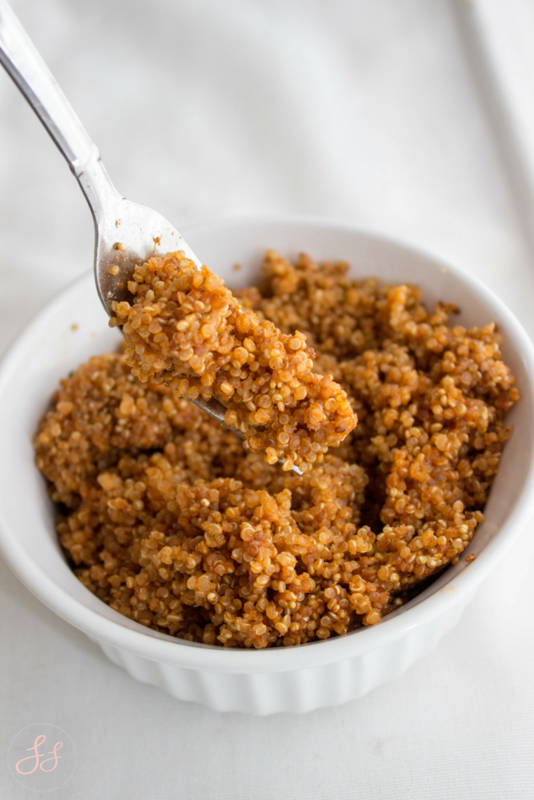 Quinoa anything is delicious in my book. This looks great! MMM. This looks good. And I don't think I would have thought to toast the quinoa first! Good idea! Looks yummy! Pinning it! Yay! I love how easy this is to make! Definitely going to have to put it on my to do list--it'd be perfect for meal prepping! :D! 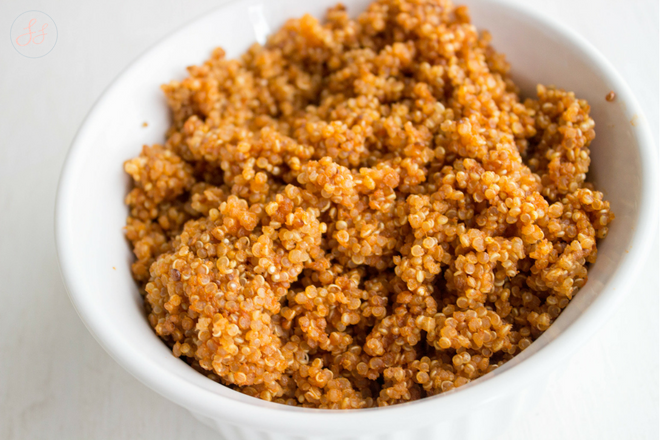 I think using quinoa instead of rice is brilliant! I will definitely be trying this recipe. this is a great idea instead of rice for extra nutrient. I'm such a huge fan of quinoa. It's so versatile and so nutritious. Love this mex flavors. I'll definitely try this recipe. Yaaas. I haven't had quinoa in SO long! This looks delish!